Step 2: Navigate to Video Extensions > Video Post > Google API Key to enter your Google API Key. YouTube requires a Google API Key to fetch data of Video Duration, Views, Likes, Comments count from its source. You can refer this document to know how to create your own Google API key. NOTE 1: If you enable Auto Fetch Data but don’t provide it a Google API Key, when you publish a new post with video URL from Youtube, your post data that you added manually such as title, content… will be lost. Step 3: Go to Posts > Add New to create a new post. Step 5: Click Publish to save configuration. 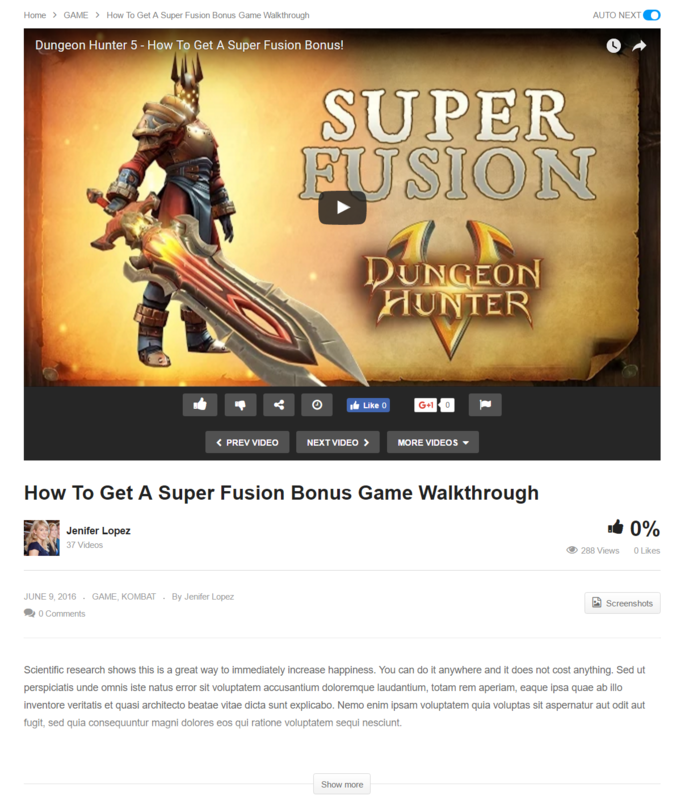 After Publishing the post, the video post title, description, etc will be fetched automatically. Whenever you click Update button under the Publish box. The new data of the video post will be re-fetched automatically. 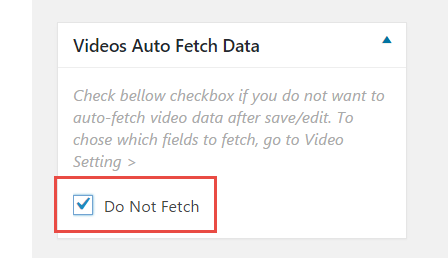 In case, you don’t want to automatically fetch data for a specific video post when update, please select the Do Not Fetch button to turn off this function.